Can you always find the time to stay up to date? Can you afford not to? Providing exceptional service means knowing about all the latest evidence, studies and discussions. It’s vital for spinal specialists to keep up to date with cutting-edge research and findings, techniques and ideas. After all, there’s a lot of it on the internet and in the newspapers: clients might come across it, even if you haven’t! Keeping abreast of everything that’s happening in the field of low back pain, however, can take many hours of your time every week. Subscribing to all the journals can cost thousands of pounds. Now – at last – there’s an answer to the problem: a digest of all the latest information and key research delivered to your inbox. No more searching. 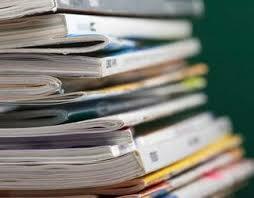 No more scouring the web and journals and articles and papers for the best and most important information. No more expensive subscriptions for journals or buying articles at £20+ a time. Instead, let Kieran do the leg work, and you can read the results. It’ll take you only 30 minutes a month – and you’ll be as well informed as anyone on the latest research into low back pain. To get started now and read your first newsletter digest, simply register here. Or read on to find out more about the content of our newsletters. Having access to the latest findings and evidence is essential, but it’s often far too time-consuming and costly for busy clinicians to keep up to date with all potential developments. You may subscribe to the journals, but in truth, you only need a fraction of the information they contain. The rest is noise, through which you have to sift to find the messages relevant to your profession. The low back pain research update allows you to stay up to date in just 30 minutes a month. Let Kieran Macphail trawl through the research and synthesise the key evidence into manageable, evidence-based chunks. 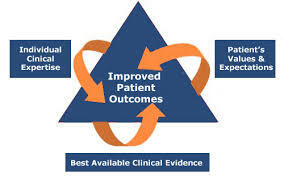 The emphasis is on higher quality evidence and new methods. So you hear first when new Cochrane reviews or guidelines are released, when large randomised control trials take place and when cutting edge techniques are discussed. Updates give you the best current evidence on a month-by-month basis, so you can evaluate it using your own clinical reasoning and integrate it into your clinical expertise. A report from the European spine journal on how Albert et al found 100 days of antibiotic treatment had a beneficial effect on low back pain symptoms in patients with Modic type 1 changes. An update on Van Buyten et al’ multicenter trial examining the effect of high-frequency waveforms for the treatment of intractable back and limb pain. Research from bodyinmind.org into the psychology of low back pain and the ability of patient’s to localise sensory information delivered to their backs. Findings from systematic review on physiotherapy functional restoration (PFR) for chronic low back pain. Holger et al’s systematic review on yoga for low back pain. Summary of a Swedish paper that found patients with higher BMI’s fared worse after surgery for Lumbar Spinal Stenosis. A report on alternative approaches and how acupressure of the low back point on the ear reduced pain 70% and improved function in a 4-week pilot randomised controlled trial. A typical newsletter contains around 15 to 20 such reports, all with extended summaries and links to the full articles. The Low Back Pain Research Update costs only £6.50 a month and saves you both time and money. What’s more, your first month’s newsletter is free – and you can cancel your subscription at any time. The low back pain research update means the money and time you invest in staying abreast of the literature are laser focused. Most clinicians choose not to spend valuable time in reading further in a particular area – the headline and key findings are usually enough. But when a special topic grabs your interest, you know about it in plenty of time and you can follow up and get more details. It gives you a far more focused and precise, less “scatter-gun” approach to staying informed about the latest developments and evidence. 30 minutes or less a month – guaranteed – or Kieran buys you an article! Kieran is adamant this will take you no more than 30 minutes a month. So sure, in fact, that if it takes you longer, he’ll buy an article for you of up to £20. There are no strings attached to this: just let us know and we’ll sort out the article for you! To receive a monthly summary of the key research and keep up to date in just 30 minutes a month, simply register here and we’ll send you the first newsletter free of charge. Don’t forget, you receive all the key information sent to your inbox all for only £6.50 a month – a huge saving (of thousands of pounds!) over subscriptions to journals and paying for access to articles. To get started now and read your first newsletter digest, simply register here.